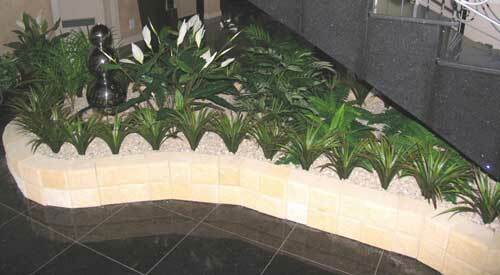 Private home using boston ferns, spaths, pandanus, yuccas, bamboo palm and water feature. 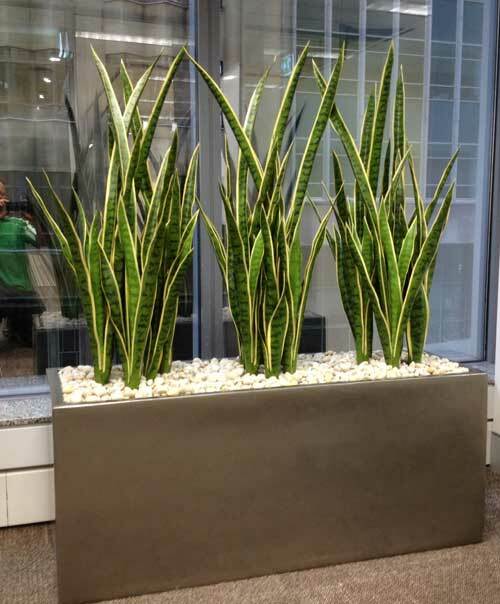 180cm Variegated Ficus tree on natural trunk potted in a plastic trough at the Price Of Wales Hospital. 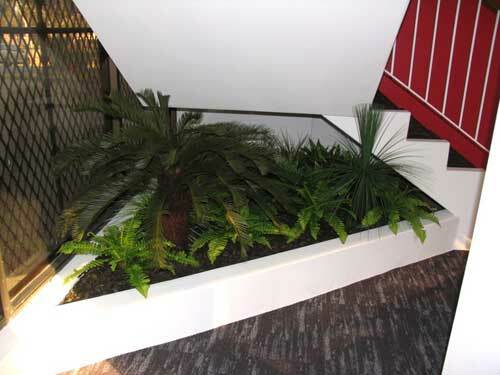 Area beneath stairwell brought to life using a cycad, blackboy, boston ferns, mondo grass, yuccas, dracenas and agaves. 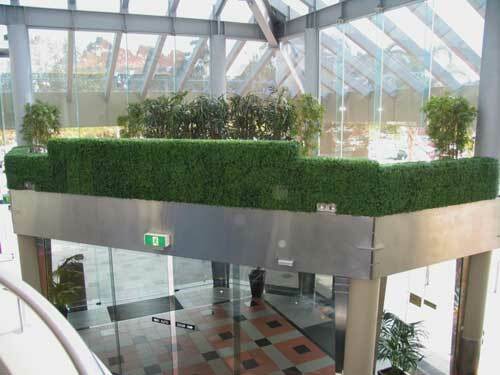 Boxwood hedge wall with Raphis palms & bamboo trees in the background at Parramatta Leagues Club. 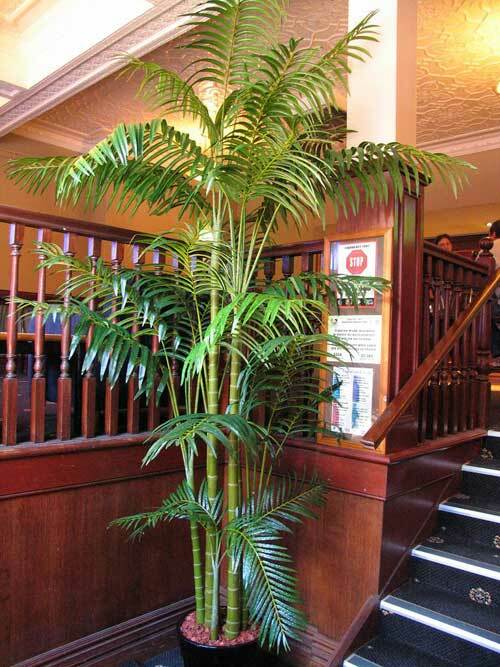 3.4m Phoenix Palm at the Newington Inn. 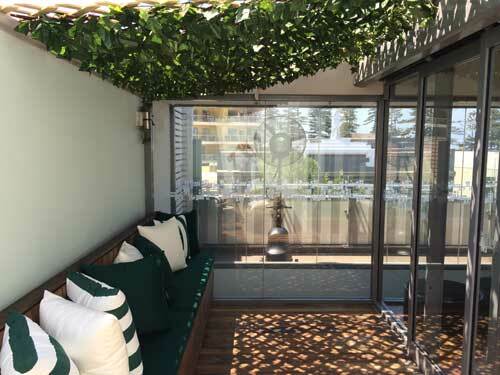 Ivy Trellis attached to rooftop bar at the New Brighton Hotel. Assorted Mother In Laws Tongues used in the office. 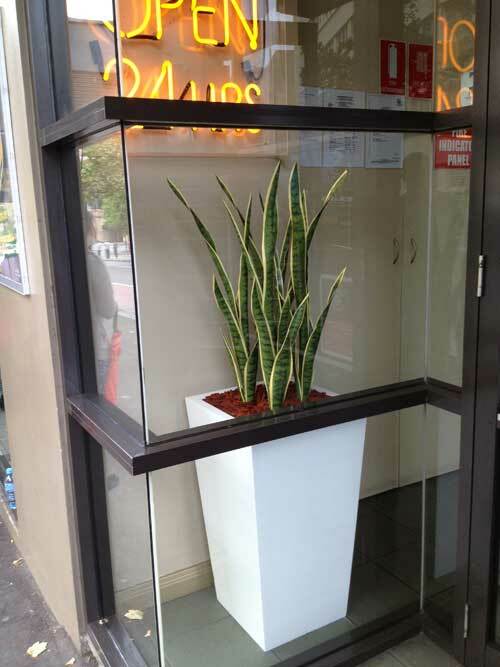 Mothers In Laws Tongues in white fibreglass wedge pot at the Aurora Hotel at Surry Hills. 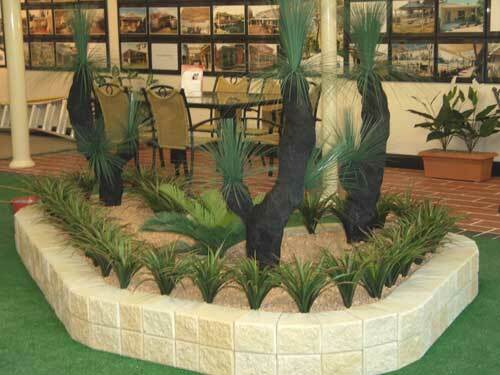 Home Improvement Centre in Narellan, using Australian native plants. Blackboys, cycads and yuccas. 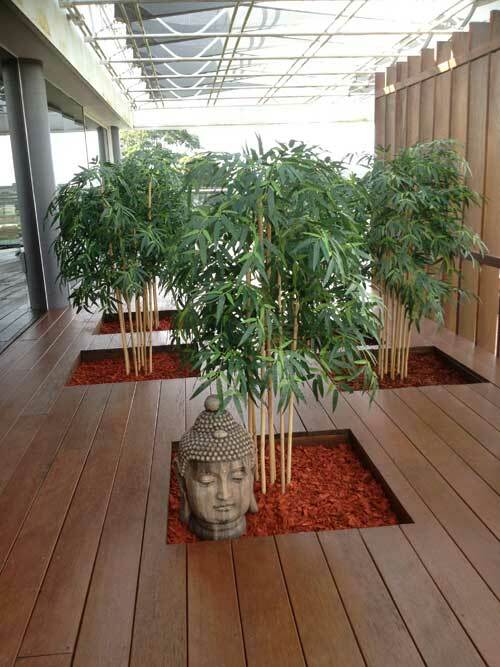 150cm Bamboo trees on natural stems.